Please note we specialize only in industrial pumps. Devilbiss Air Power manufactures home owner compressors. 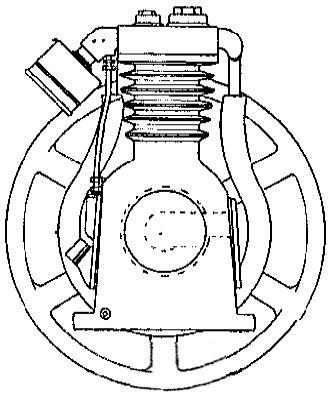 We do not have access to parts or information for these compressors. If you can pick it up or plug it in then we cannot help you. 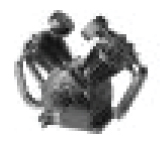 DeVilbiss industrial air pumps have proven themselves as one of the most reliable pumps over the last 100 years. 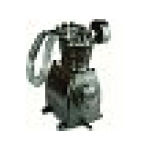 Depending on the type of compressor even a very old one can be rebuilt and is as good as new. We have expertise to help you along the way. We carry Overhaul Kits, Valve Rebuild Kits, and most Devilbiss compressor parts for most DeVilbiss Industrial Air Compressors and we can give you the right advice (because sometimes its not worth it! 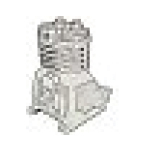 )Complete rebuilt pumps and rebuilt valves are also available. This means that we do all the dirty work and all you have to do is send us back the old parts and replace them with newly rebuilt parts. You are up and running very quickly with minimal effort. We ship Devilbiss compressor parts worldwide. 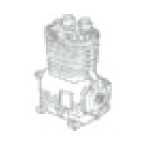 Below are the parts breakdowns for the most common DeVilbiss compressor pumps. 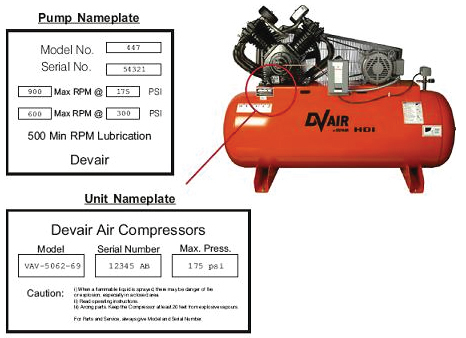 To identify the pump on your Devilbiss compressor look for a metal plate on the pump itself (not on the tank) or find out the model number and use this chart DeVilbiss Air Compressor Models and match the pump with the model number. If you can’t find your pump contact us and we will try to help. Please have the MAKE & MODEL NUMBER. 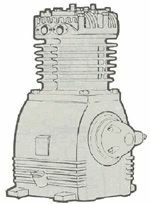 Available Parts Breakdown for Old DeVilbiss Compressor Pumps.